Engine problems on a Toro mower are rare, but they do occur. Identifying the symptoms is critical to determining the probable cause of the problem. 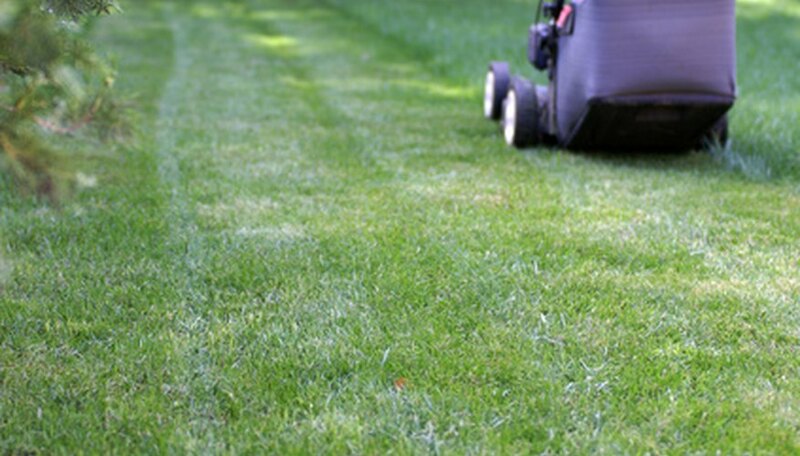 More times than not, a simple adjustment or cleaning will resolve the issue and get the mower back into service. Check the three primary necessities the engine must have in order to operate properly. Spark, fuel and air, in appropriate amounts, sustain engine combustion that provides power to the wheels and blades. Remove the spark plug and inspect the condition and gap of the plug. A fouling plug may still allow the engine to start, but causes the engine to idle poorly, or lose power under load. If there is any doubt about the condition of the plug, or if more than two years have passed since the last replacement, install a new spark plug. Take out the air filter and clean it with compressed air or gasoline. Oily gunk build-up on the surface of the air filter restricts air to the carburetor, causing poor engine performance. If enough dirt is present on the filter, it will prevent the engine from starting entirely. Look at the condition of the gas and fuel filter. Stale or contaminated fuel will prevent the engine from starting. It will also result in poor engine operation if the engine starts at all. A fuel filter that appears to contain debris, or looks brownish in color, needs replacement with a new one. The fuel filter does not bypass when it begins to plug up, and will cut off fuel flow to the engine. Depress the brake/clutch and disengage the mower if the engine shows no sign of life when attempting to start. Toro mowers require the operator to sit in the seat with brake set and mower off before the engine will start. Seasonal maintenance and preservation prior to storage help to prevent engine problems.